Using your ribbon (or tape measure), loosely measure one time around your forehead. Cut your ribbon to match this measurement, adding an extra inch. Take the two ends of the ribbon and tie it in a tight bow or knot. If needed, wrap the ribbon around your head to double check where your bow/knot should start. It never hurts to double check! Next, start cutting off the stems of your flowers. Leave enough stem left that you can still pinch the stem and hold up the lower. Throw away the excess stems. Starting at the ribbon knot, begin hot gluing your flowers to the outside part of your ribbon. Put the hot glue directly on the flower stem, instead of the ribbon to keep the ribbon looking pretty. There is no right or wrong way to arrange your flowers, so pick and style and go for it! Once you have glued flowers all the way around the outside of the ribbon, begin hot gluing the rest on the inside. 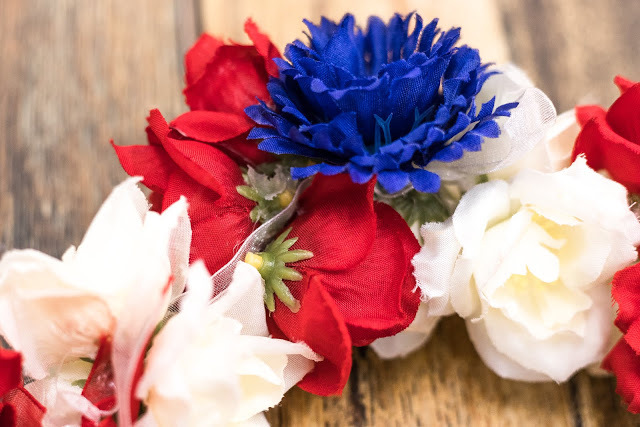 Gluing flowers on both sides of the ribbon will make your crown more full! Let the glue cool and harden (approximately 10 minutes to be safe). 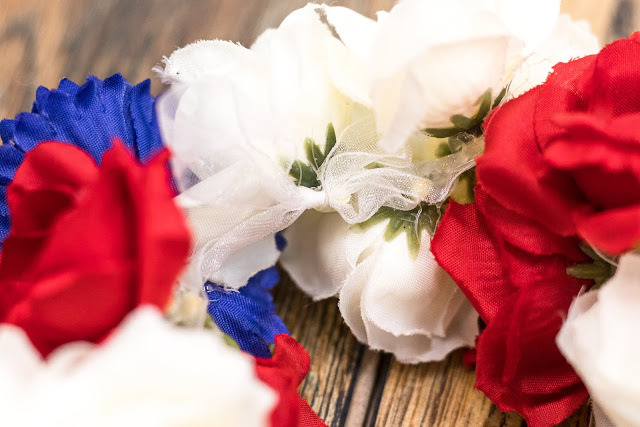 Once your flowers are safe and secure, you're ready to style your new flower crown! 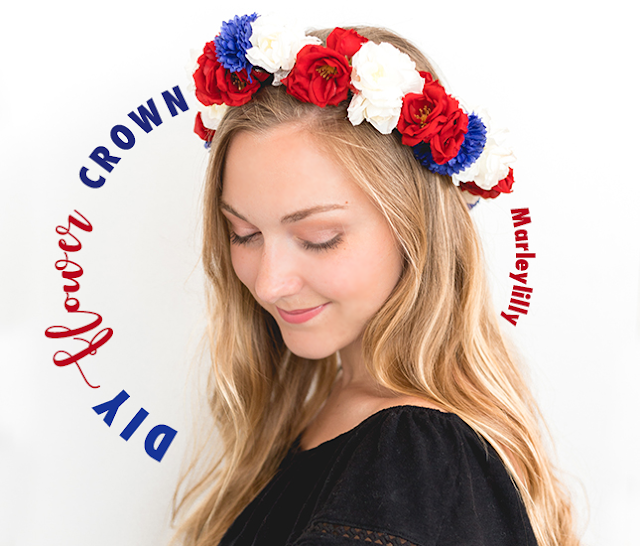 Make your #OOTD extra fun, festive, and vibrant with a flower crown! 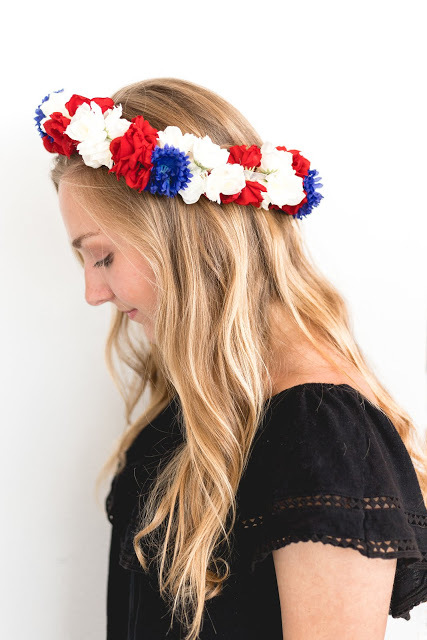 Wear it with straight hair, a messy bun, a loose braid or summer beach waves! 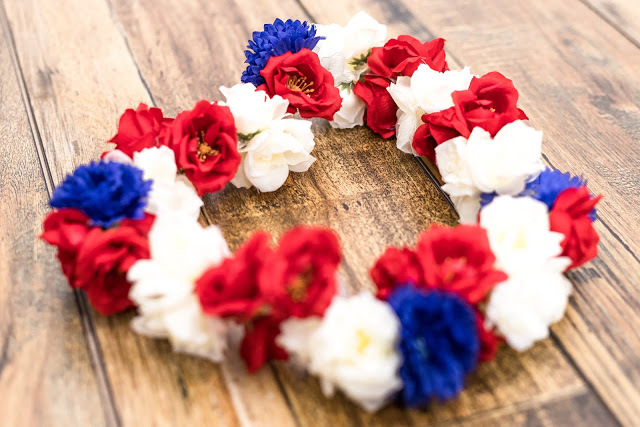 Where do you plan to wear your flower crown? I know I'll be wearing mine today in honor of Memorial Day! 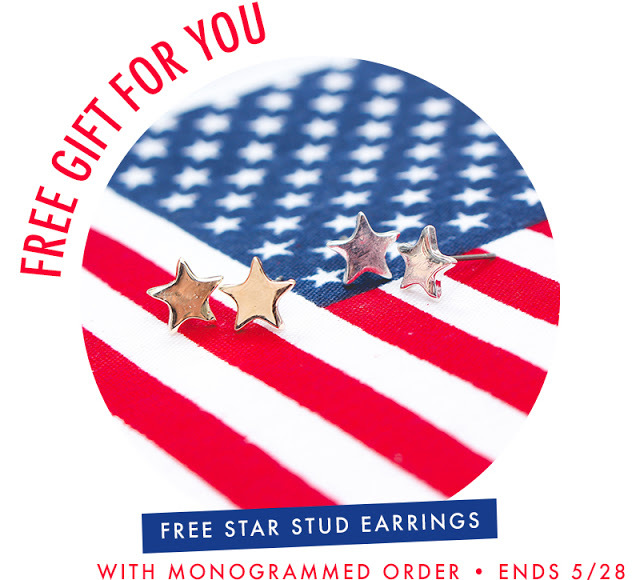 For more red, white and blue, shop Marleylilly.com to catch the Memorial Day sale. Preview down below! Xo!